Train multiple muscle fiber types for a searing burn in a single, high-efficiency workout. Linear periodization isn’t going anywhere, folks. If you want to get strong, you should train for strength. If you’re trying to gain size, then training for mass is the way to go. Trying to get lean? Adjust your program accordingly. The specificity inherent with linear periodization is great – working at a single goal for 6-8 weeks is a great way to make measurable progress. But every once in a while, you need to cater to your workout schizo – that multiple-personality cortex in your brain that can’t bear to do the same thing day in and day out. Undular periodization mixes things up from workout to workout, allowing you to focus on strength one day and maybe metabolic training the next. But can you train for multiple goals in a single workout? Of course you can. In fact, doing so may actually help you maximize the way you fatigue the muscles you’re targeting. And as you know, greater fatigue and breakdown begets greater gains. Explode >> Training explosively (after a good, general warm-up) early in your workout is highly beneficial for multiple reasons. First, explosive movement excites your central nervous system, making it function at a higher level for everything that is to follow. Secondly, power-focused moves mainly use fast-twitch muscle fiber – those that are most prone to growth. If you look at the bodies of elite sprinters, whose routines include sprints, plyometrics and Olympic lifts, you’ll get a sense for what this type of training can offer. Also, performing explosive movements first, can actually enhance performance on the exercises that follow. Load >> After a few explosive reps of plyometric activity, you can take advantage of your nervous system awakening right away. With your CNS and fast-twitch muscle fibers ready to go, you can dive right in to heavy, loaded work for traditional reps in muscle-building ranges. Because of the order of exercise, you should be able to train these loaded sets more efficiently, or with slightly heavier weight than you might normally use. If you choose your normal 10-rep max (10RM), for example, you should be able to handle that weight, or slightly more, for the same amount of reps because of the better contribution from your CNS and stronger fast-twitch muscle. Hold >> Because we’re gluttons for punishment and we know that more muscle breakdown is the prerequisite for more growth, we can now fully exhaust the targeted muscles with a more static hold. Holding the bottom of a squat in open space or as a wall-sit, for example, would fully finish off your quads and glutes after a few jump squats and barbell squats. The “explode, load and hold” method is very demanding when done right but it helps you rope in as much of a targeted muscle’s fiber family as possible in one, crushing set. You only need to employ a few sets to get a full workout. Here are a few ways you can “explode, load and hold” for a taxing, time-efficient workout today. You can use them as stand-alone routines or combine some upper- and lower-body work for a full-body bruising. 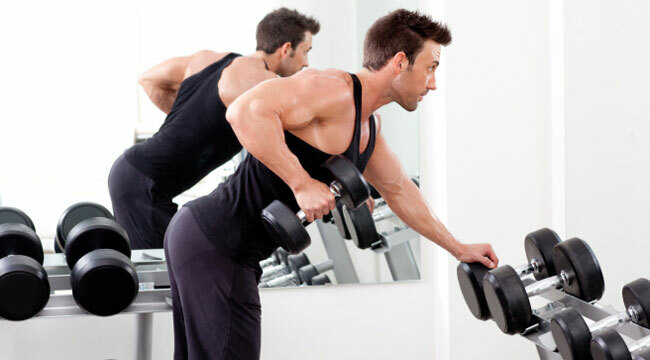 For each circuit-style workout, perform the exercises in the order listed with no rest between exercises. Take at least two minutes of rest between circuits to allow for more thorough CNS recovery before starting again from the top. --On the squat hold, “sit” in the bottom of a squat, thighs parallel to the floor. --On the lunge hold, drop into a lunge with your back knee about an inch of the floor. 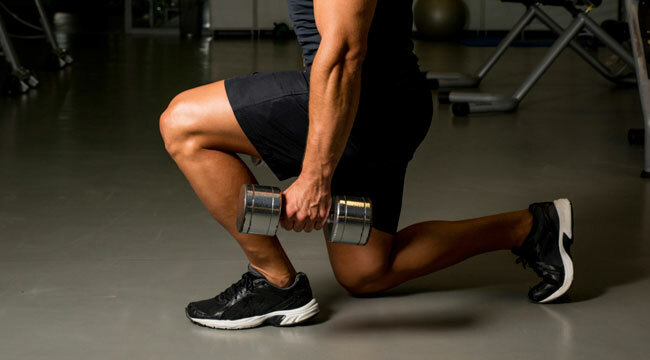 Switch legs after 30 seconds and hold again with the same cues. --For the pec deck hold, set the pin to a weight that you could only perform 8-10 reps on normally and squeeze the handles together tightly in the peak contracted position. --On the upright row hold, use a barbell or dumbbells that you could upright row for 8-10 traditional reps and hold at the peak contracted position.